New York City brings in millions of tourists per year, making it one of the most popular cities to visit, just behind London. Within this concrete jungle there are lots of things to do, but this list is for the most unique things to do in New York City that you may not find on other mainstream travel lists! Think of it as the best and biggest list of must-see New York attractions! From the best hole-in-the-wall eating spots to relaxing nature spots, without further ado here are the best unique things to do in New York City that you must cross off the list! Brooklyn bridge is undeniably New York City’s most famous crossing over the East River, but it gets incredibly busy, making it hard to take in the views and enjoy the amazing experience. If you are looking for a calmer alternative, Manhattan Bridge is perfect for fully grasping the beauty the city’s skyline has to offer. 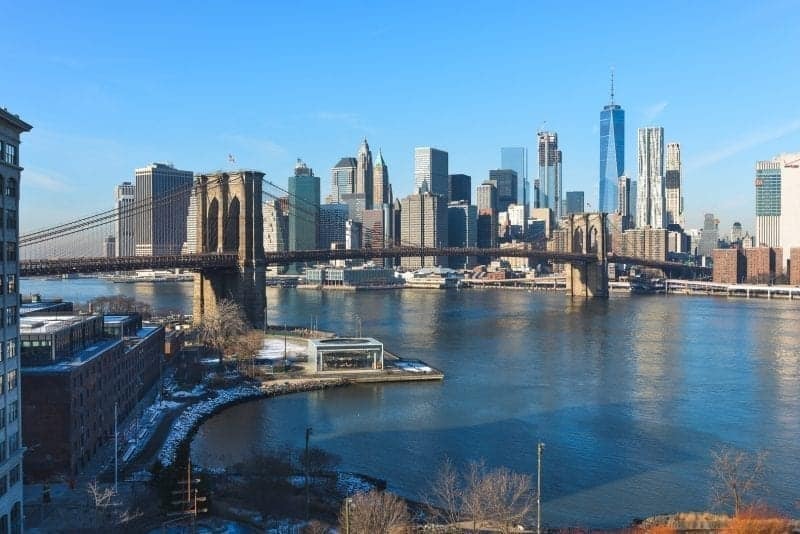 From here, you can also appreciate one of the city’s landmarks that you would miss otherwise, the Brooklyn Bridge itself! The walking path is on the south side, and the bridge connects the Chinatown (through Canal Street) in Manhattan to the Dumbo area in Brooklyn. There is also a biking lane on the north side, but views aren’t nearly quite as nice. Exploring Chinatown is one of the most delicious and unique things to do in New York City! One of the best things to do in New York is explore the city’s amazing culinary scene in one of New York’s many Chinatowns! Most people are only aware of one of New York’s Chinatown – the one in Manhattan that is more famous for its fake bags than its delicious food. But if you go a bit off the beaten path and head to one of New York’s other Chinatowns (my favorite is in Flushing, Queens) you can eat insanely delicious and authentic Chinese food alongside the locals. 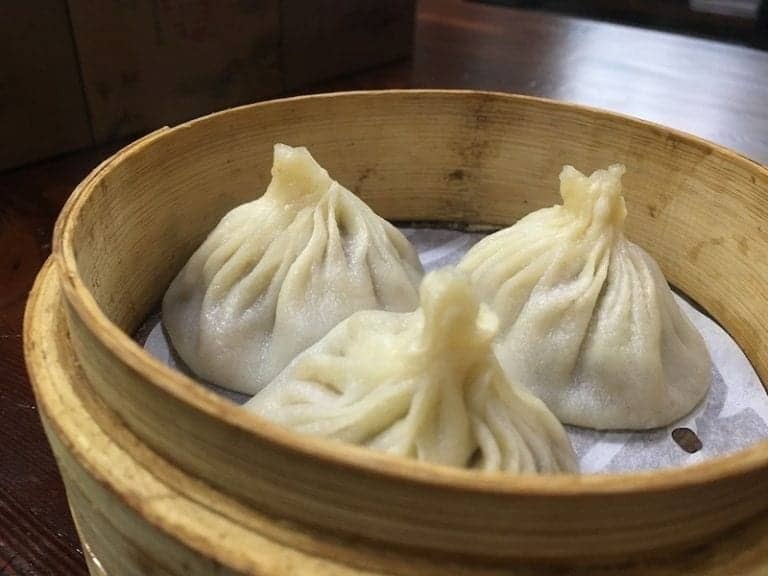 My favorite place for Chinese food in Flushing is Joe’s Shanghai, which makes amazing steamed crab and pork soup dumplings. Full of broth, you take a tiny bite or poke a hole with your chopstick to slurp up the soup broth in the dumpling before eating it whole! It is delicious and one of New York’s most unique food offerings. If you have room beyond soup dumplings, you can always go for Korean BBQ or delicious Xi’an food in Golden Shopping Mall, or get a cheap reflexology foot massage before heading back into Manhattan. Amateur Night at the Apollo Theater in New York City happens every Wednesday night at 7:30. Contestants perform and compete for the opportunity to win the “Best performer of the night” award. The mediocre ones will get voted out by the boos and hisses from the audience. The good ones, however, can astound you with their outstanding performances. After the winners are announced you can get on the stage and dance. 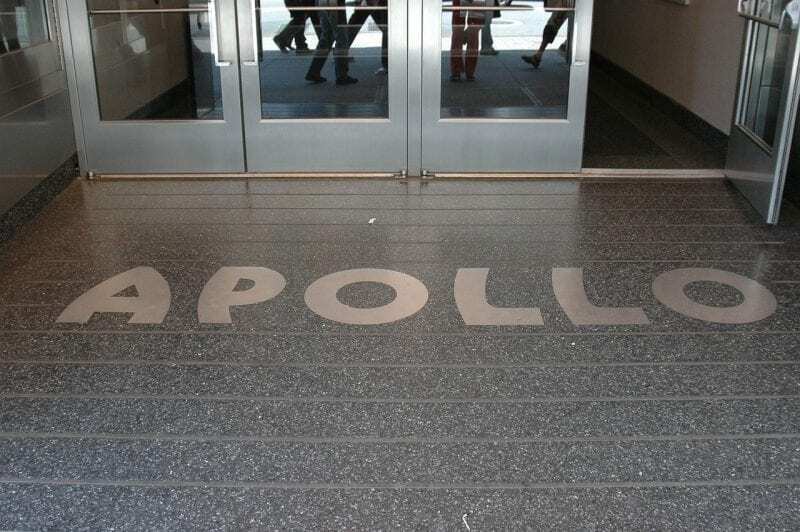 Many African-American artists have passed through The Apollo Theater since it opened in 1941; Ella Fitzgerald, Billie Holiday, Luther Vandros, The Godfather of Soul, James Brown and Gladys Knight to mention a few. The theater’s fortunes rose and fell along with the neighborhood but it still remains one of New York’s great art venues. Amateur Night is a must for any visitor to the greatest city in the world. It’s just a hop, skip, and subway ride from Manhattan to Astoria in Queens, where you can enjoy a brewski in New York’s oldest and biggest beer garden. 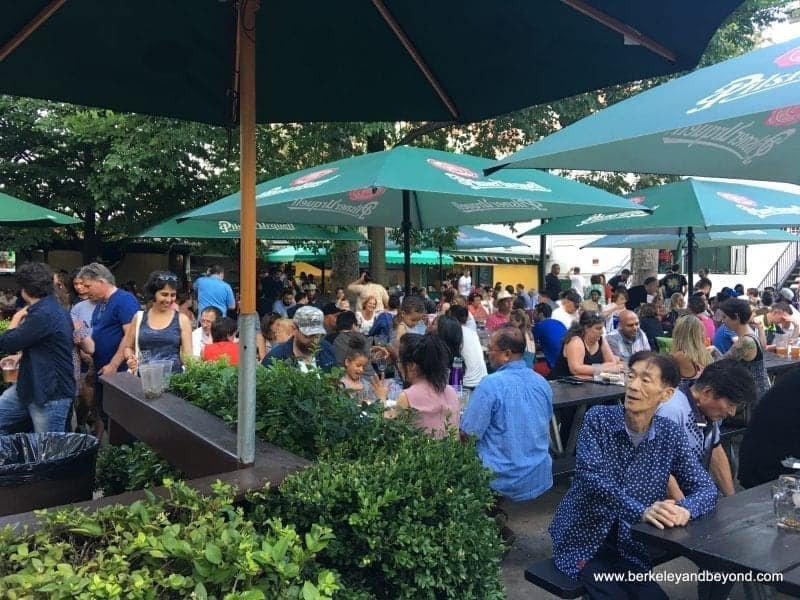 The wildly popular Bohemian Hall & Beer Garden originally opened in 1910–more than 100 years ago! Last year I finally get here and fulfilled my beer-garden fantasies. Amid picnic tables and plenty of sun-sheltering umbrellas, I enjoyed potato pancakes, pierogis, and a big pretzel–but they also have a veggie burger as well as vegan and gluten-free gazpacho. From the vast beer selection I settled on Pilsner Urquell and settled in to enjoy the live music and dancing. If you are tired of the same old walking tours, why not mix things up and take a fitness tour through Central Park instead? Fit Tours NYC brings you an informative tour with a fitness twist. And it is by far one of the most different and unique things to do in NYC. 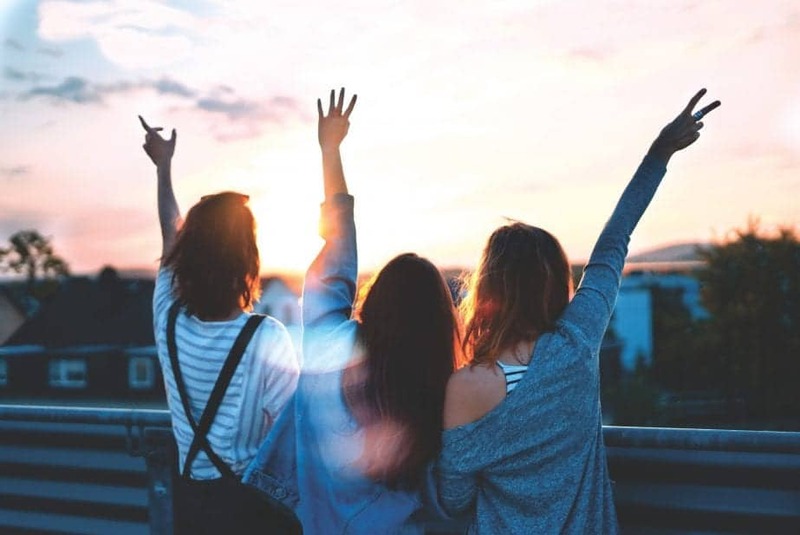 You can choose between a running tour with three different distances, or if running is not your thing, they offer a yoga and stretch tour as well All levels are welcome for both tours. 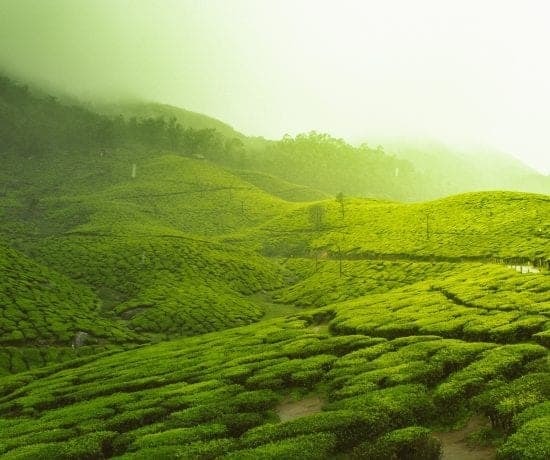 The tour guides are not only certified trainers but also licensed tour guides. The tours take you through different areas of the park and they have you take fun pictures. So not only are you informed but you get a workout in on your vacation! 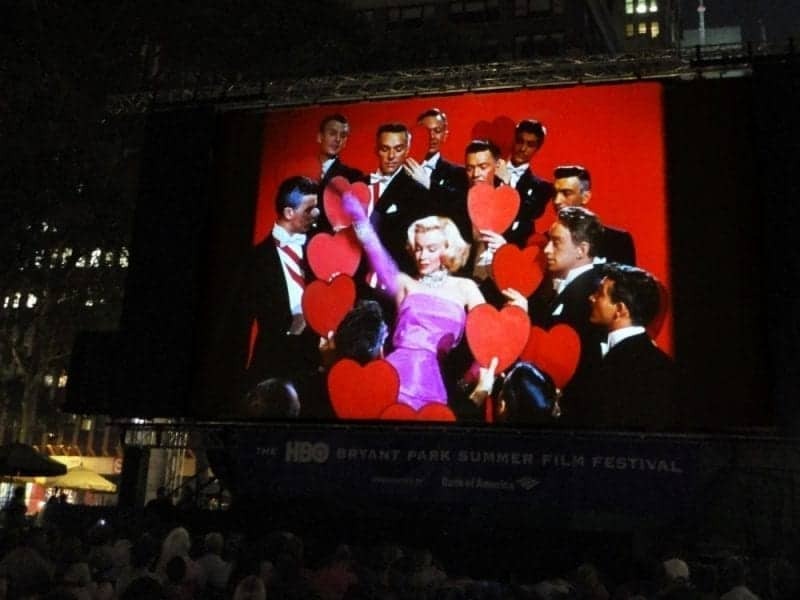 On Monday nights in summer, free classic movies are shown in Bryant Park, surrounded by skyscrapers and the beautiful New York City Public Library. This is a really fun thing to do if you are in New York City at this time, but there are few things to know. The lawn is closed off in the afternoon and you should get there no later than 4:30pm, with a blanket and a picnic. Line up, mentally choose your spot and be ready to run. At 5:00pm exactly, a voice announces that the lawn is open and about 30 seconds of pure pandemonium erupts as everyone rushes on to the lawn and spreads their blanket before someone else gets their coveted spot. It’s very stressful; but then you can relax and enjoy your picnic until it gets dark around 8:00pm. Before the movie starts, join in the special Bryant Park movie dance! Then lie back and enjoy the movie. If you are lucky, you will get to see a movie set in New York City in the middle of New York City! 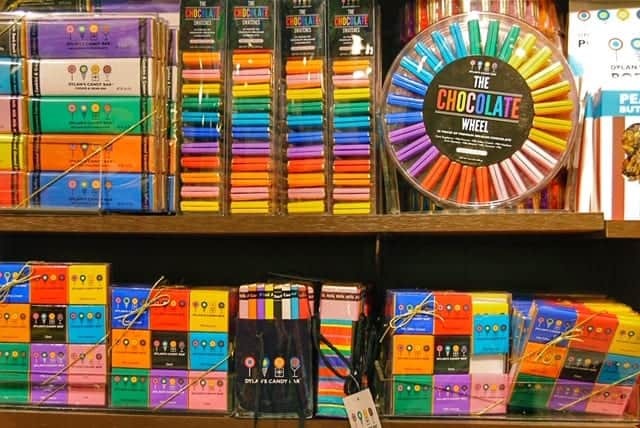 If you want to feel like a kid in a candy store, make your way to Dylan’s Candy Bar! Peruse more than 7,000 edible treats and choose a few of your favorites to take home. The fun isn’t over when you’re finished shopping, though, because the top level is where you want to be. The cupcake booths in the café and bar beckons you to sit and when you order, you won’t be disappointed. This is where you can order an adult version of your favorite childhood sweets! I loved the Drunken Sour Patch cocktail and am intrigued by the Jolly Rancher cosmo and Pop Rocks explosion! 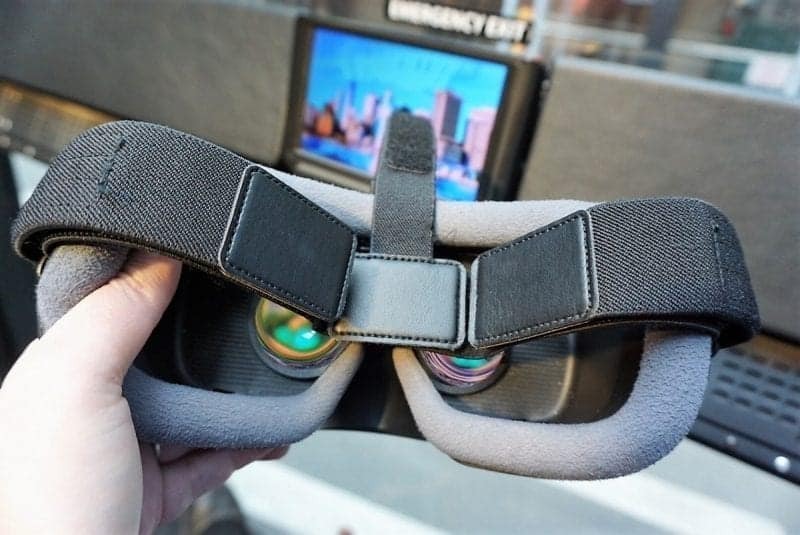 The Downtown Experience is an NYC virtual reality experience tour from the same company that offers the Tour and the Ride. They are known for unique buses where all the seats face the left side. The bus has floor to ceiling windows and the ceiling is glass too. No matter where you sit on the bus, you will have a great view. Each passenger is also given their own virtual reality headset. If you hadn’t guessed from the name, the Downtown Experience tour explores downtown Manhattan. You will see many points of interest and learn more about the history of New York City through live narration and virtual reality video. The Downtown Experience lasts 90 minutes and is fun for all ages. Life in the city can get hectic for locals and tourists alike. Why not treat yourself to a unique New York City detox? The Russian & Turkish Baths in East Village has been in operation 1892. It was originally designed to serve the influx of immigrants who had no hot running water. It has since served gangsters, celebrities and locals for over 125 years. It’s one of few remaining old-school bathhouses in New York City. Known as a ‘Shvitz’, it is a traditional steam bath of Yiddish origins practised mainly by Eastern European Jews. 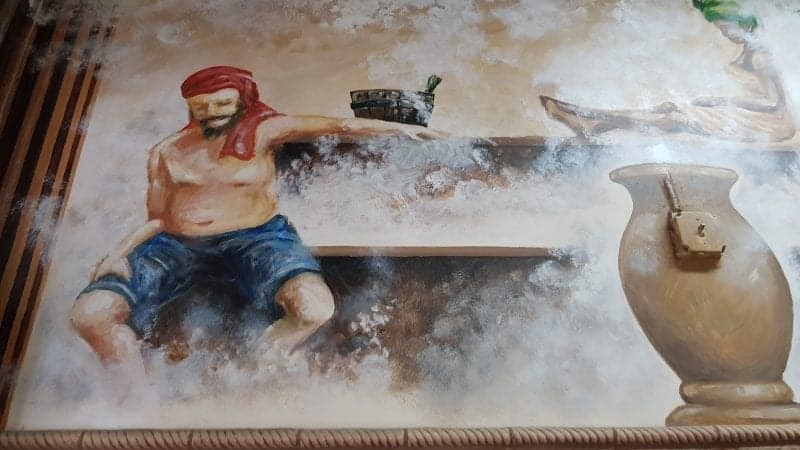 Simply enjoy the array of spas, saunas and plunge pool in your own time or immerse yourself in one of the traditional treatments such as the Russian Platza leaf massage where you get whacked with olive oil-soaked branches in a sauna heated to over 90 degrees Celsius! Central Park is one of the most popular places to visit in New York City, and while most tourists leave before dark, it’s well worth sticking around to catch a sunset. 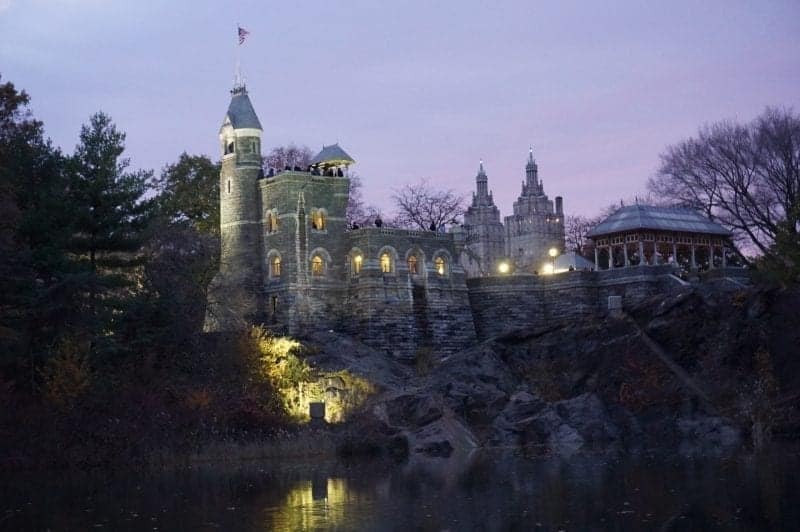 Belvedere Castle, the replica castle sitting atop a rocky outcropping, is the perfect spot to watch the sky light up with color at sunset. You can stop by to climb to the Castle for views of the city before heading around to the east side and finding a spot along the shore of the pond right next to it. As the sun goes down, you can see the Castle and the colors in the sky reflected in its perfectly still waters. 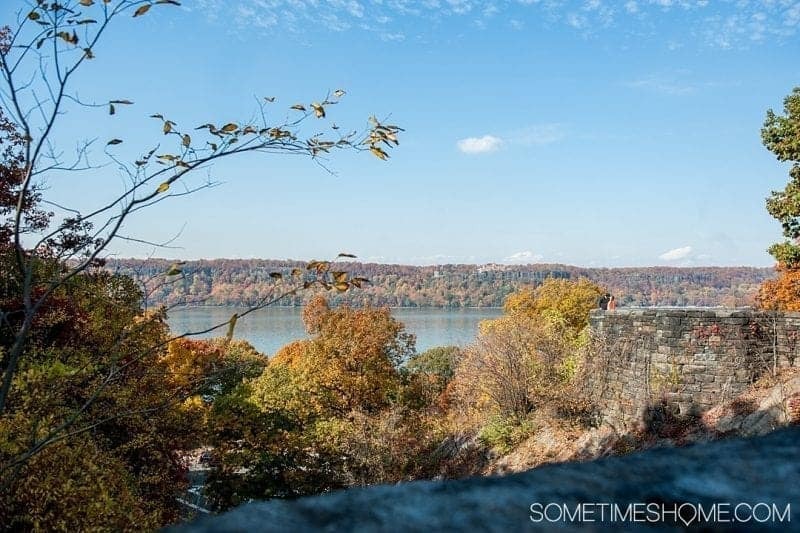 The views of the Hudson River from the Cloisters and park are incredible and, though the building was created in the early 1900’s, its European medieval-inspired architecture is worth a trip in itself. Brooklyn Bridge Park is one of the best places to get a gorgeous view of the New York City skyline, more specifically downtown Manhattan. The cityscape views are so beautiful that many couples get engaged there. The park is located just to the south of the Brooklyn Bridge along Furman Street. You can easily reach it after walking across the Brooklyn Bridge, from Manhattan to Brooklyn, so you can hit two birds with one stone and see both sights at once. 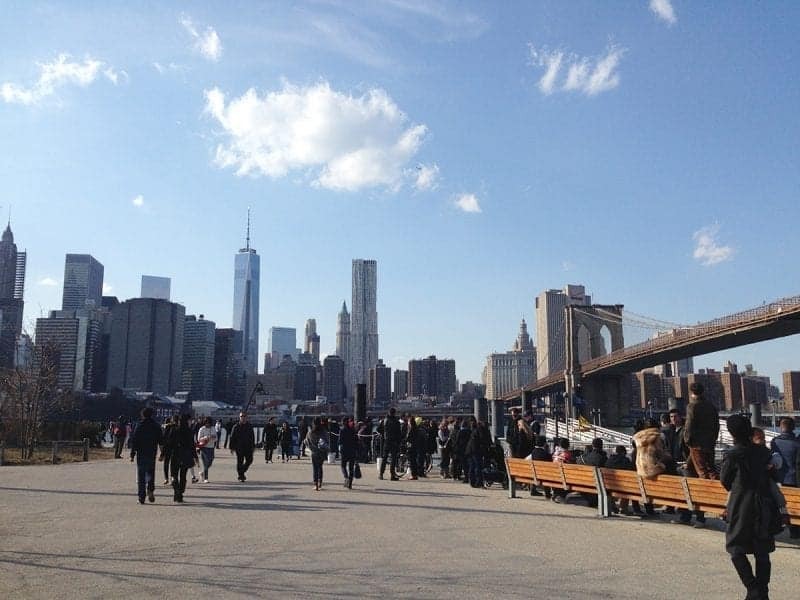 If you don’t wish to walk, the NYC Ferry can take you from Midtown Manhattan to Brooklyn Bridge Park. The park is a great place to relax or even have a picnic in the warmer months, it’s definitely well worth a visit! New York City offers a plethora of experiences, however for a more unique experience head to the neighborhood known as Alphabet City. East of the numerical numbered avenues, are Avenue A, B, C, and D; covering streets from 14th Street all the way down to Houston Street (pronounced, house-ton). It was once a neighborhood that was once an enclave for musicians and artists. More importantly, it was a pocket of immigrant living. In the 1970s and 80s, it was a neighborhood skirted by many visitors as it was considered an unsavory part of the East Village. Like SoHo and the NoLita before it, Alphabet City has had its share of gentrification and with that a resurgence. (Mostly) gone are the elements that led to its deterioration, replaced by some of the most exciting small businesses. There are clothing boutiques that are reminiscent of those found in Paris’ Left Bank, anchored by a plethora of eateries both pedestrian and fancy. However, it’s the offerings in some of these restaurants that make it different from other neighborhoods. You can still find authentic Latin fare, Jamaican food, Ethiopian dishes, and excellent Asian cuisines, from Chinese dumplings to Vietnamese Pho. Which best reflects the multi-cultural history of the neighborhood. 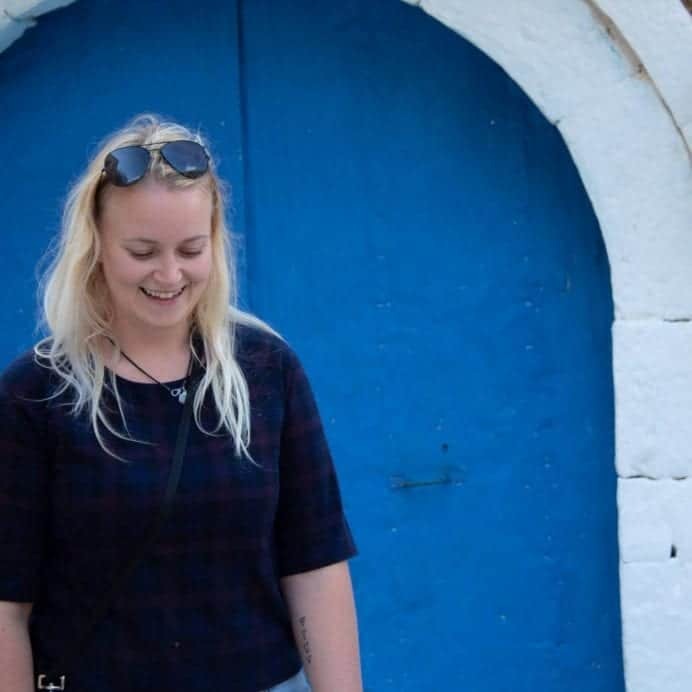 For the less adventurous there are options such as Southern fried chicken and countless pubs, bistros, and pizzerias scattered about. Along with great Happy Hour places to rest your feet. Walk around after a good brunch, and find historical places such as where Charlie “the bird” Parker once lived. At night, stay with the jazz theme and visit one of the many Live Music venues and clubs. No longer a part of the big city that needs to be skirted. In contrast, it’s not to be missed. This has to be one of our favourite places in the whole of New York City, we ended up visiting the market 3 times in 5 days! 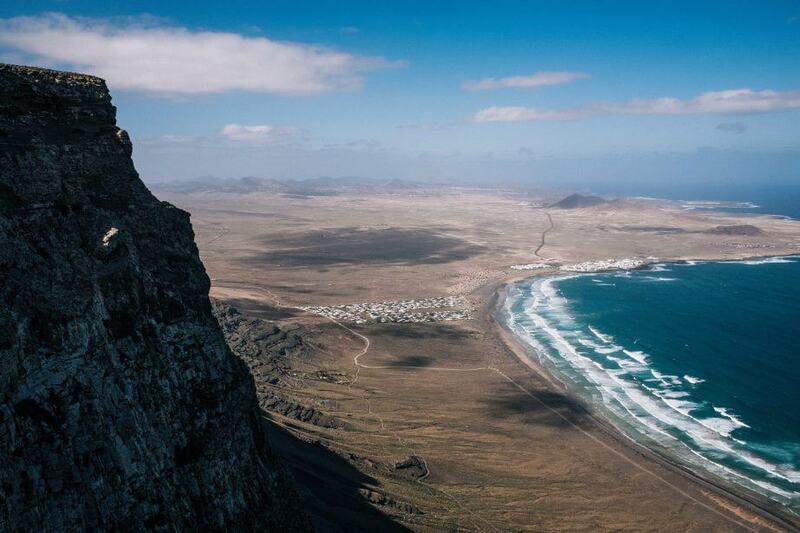 Whether it was to grab a coffee or enjoy a lunch; it was hard to look past this place once we found it. Located within the supercool Meatpackers district, this little market place has some of the best food and coffee we tried whilst in New York. This cute little space with its bare brick walls, hand crafted paper snowflakes and fairy lights is utterly charming. But, the best thing about Gansevoort Market is the food! With so many vendors to choose from, you will be utterly spoilt for choice. From traditional Thai curries, to French crepes and Japanese chocolates. 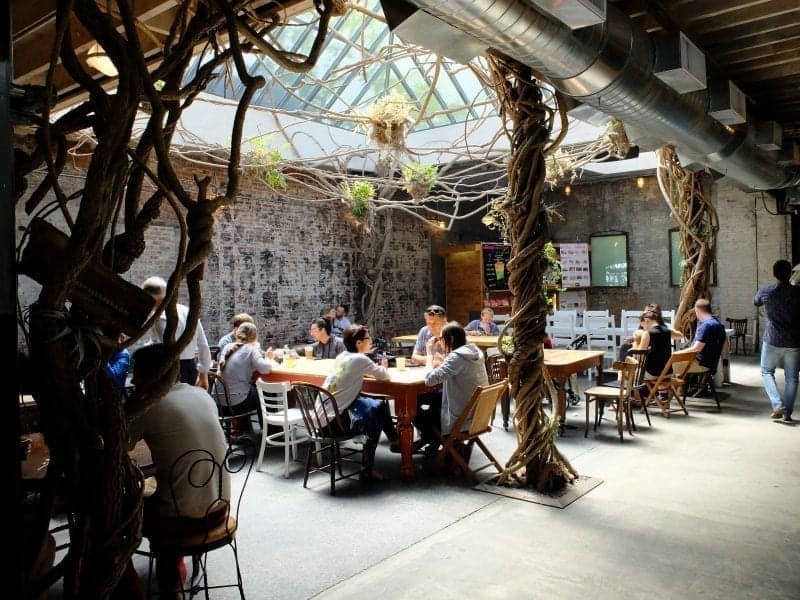 Like NYC itself, Gansevoort Market is a collision of different cultures and cuisines. 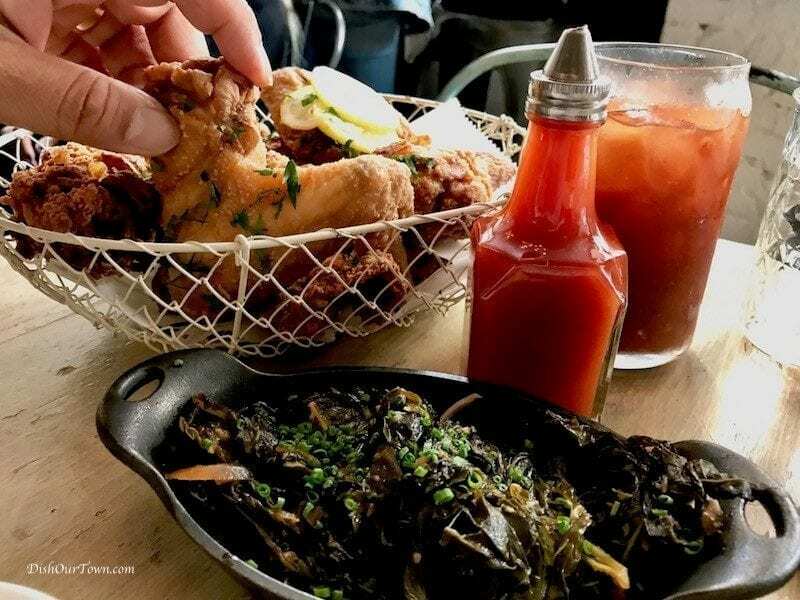 Enjoy some food and drink here and then meander through the wider district – this is an area which isn’t filled with tourists so you get a real sense of what New York is like away from the bustling centre. NYC has some of the best food in the world. But we are a bunch of sugar-fiends, so whenever we visit the city it’s all about finding a scrumptious, over-the-top desert that will leave our mouths watering and our bellies bulging. 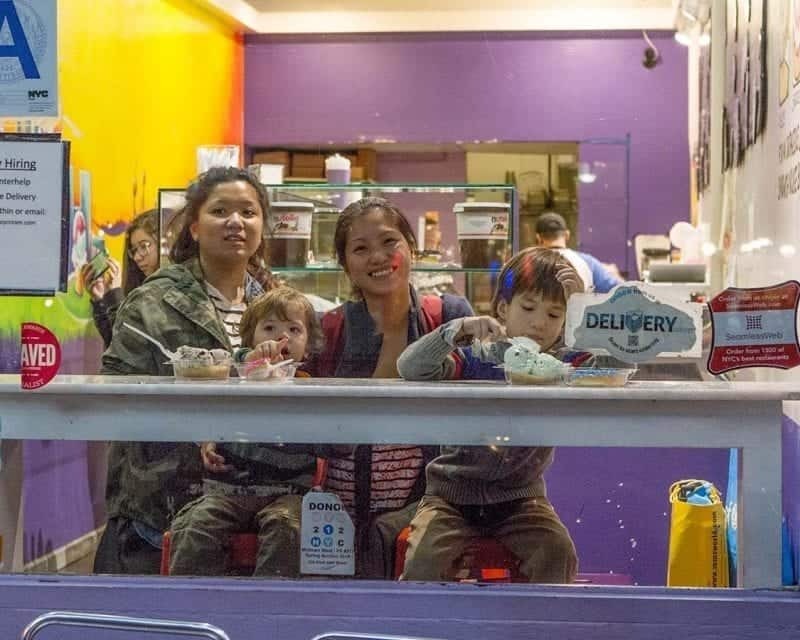 One of our favorite stops is Holey Cream, located in Hells Kitchen on 9th between 52nd and 53rd. At Holey Cream you pick your gourmet donut,, icing, toppings, and finally they slice it up the middle and jam a thick layer of ice cream. What you end up with is an epic ice cream donut sandwich that will leave you begging for mercy. Holey Cream has very limited seating though, so you might want to consider walking around while eating these treats. 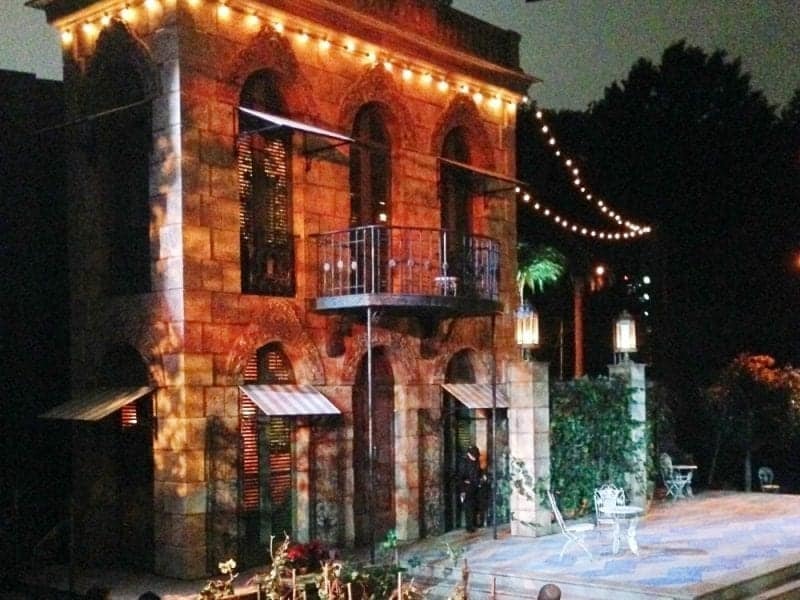 In the summer, you can see world class Shakespeare, sometimes with famous actors, in an outdoor theater in Central Park for free! The Delacorte Theater in Central Park seats about 2,000 people and there are two seasons in the summer put on by the Public Theater. There are several ways to get same-day tickets: line up VERY early in the morning at the Delacorte Theater; enter the daily online lottery; try to get tickets on one of the outer (non-Manhattan) boroughs (Queens, Brooklyn, etc. ); or (and this is the best way!) – go to the Public Theater’s main venue near Astor Square just before noon and put your name in a lottery there. They draw the lottery at noon and each name drawn can get a voucher for two tickets. It’s not a guarantee, but I’ve had most luck with this. Go to the Delacorte Theater about 6:00pm to swap your voucher for actual tickets, and then start your evening with a picnic on the lawn in front of Turtle Pond with the Belvedere Castle as the backdrop. The show starts at 8:00pm. Watching Shakespeare with the trees of Central park around you and Belvedere Castle peeking behind the stage set is a magical experience. The High Line is one of my favorite things to check out when visiting New York City. Built on an elevated freight line that’s been decommissioned, it became a beautiful public space that is now a park, art gallery, walking trail, and a great place to get NYC skyline views. 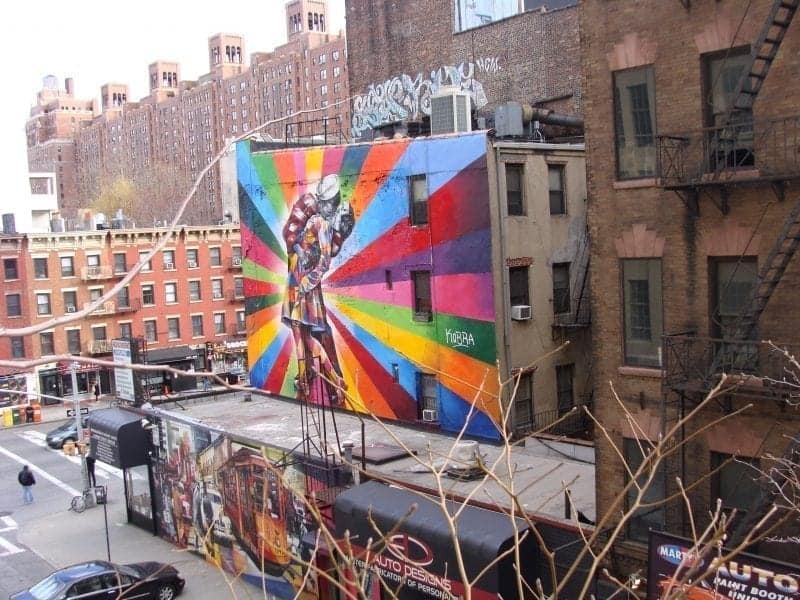 This 1.45 mile long walk is located on the west side of Manhattan from Gansevoort Street to 34th Street. Also exciting is that you can stop by the Chelsea Market on the way by at 15th street to grab some yummy food or a coffee for your stroll. There are lots of benches to check out the views, or lounge in the sun for a while. I loved checking out all the artwork on the way by. It truly feels like a place where you experience New York like the locals do. 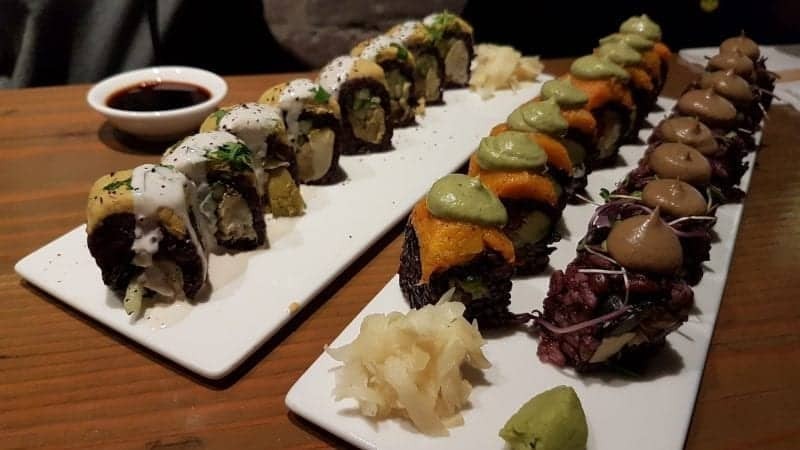 Eating vegan sushi might not be the first thing that comes to mind when visiting New York City, but it should definitely be something that you do, because it’s delicious, and cheap! At Beyond Sushi in New York, one can enjoy vegan sushi, made solely from plantbased products. If you’re vegetarian or vegan, this is a great place to go for lunch or dinner. 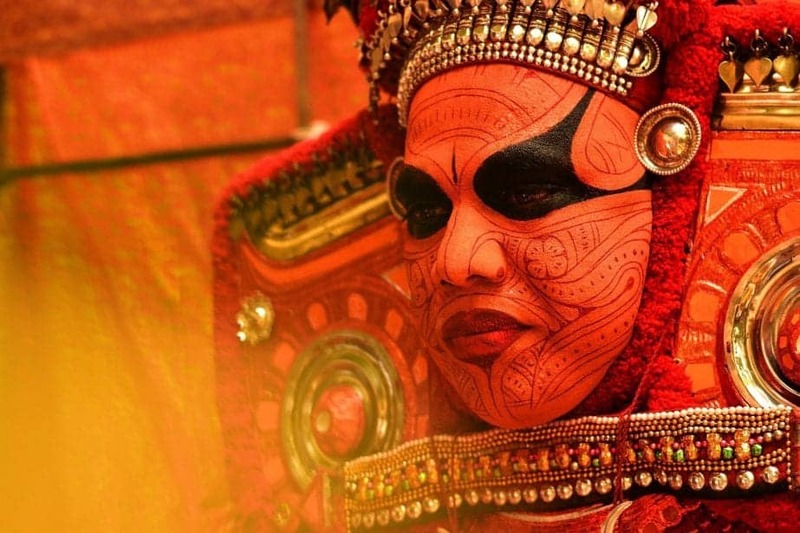 Even budget travelers will love this place. Coney Island is one of my favorite places in NYC. It’s a well known spot, famous for its amusements park, boardwalk and the beach. It’s such a classic from the movies, and going for a stroll here with family, friends or a loved one is a must! Coney island is also very famous for the hot dogs, and it’s a great place to go during the summer months. At Halloween, Luna Park is being transformed into Halloween themed park. 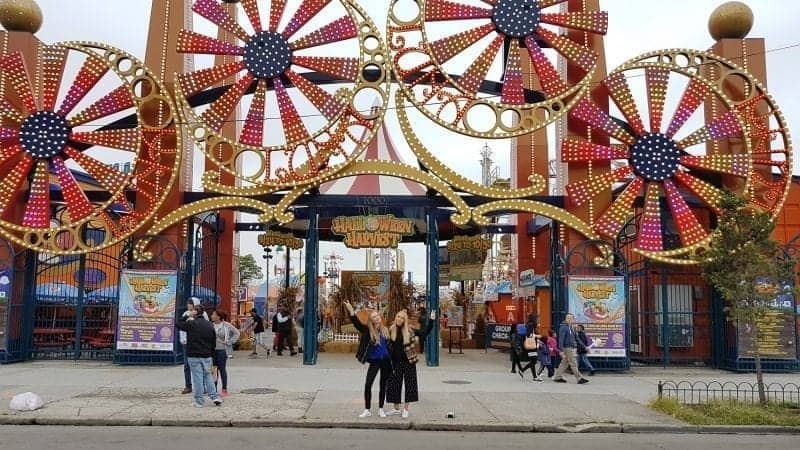 All in all, Coney island offers a fun day for everyone! You can get there easily by the Yellow Q Line or Orange F or D line. 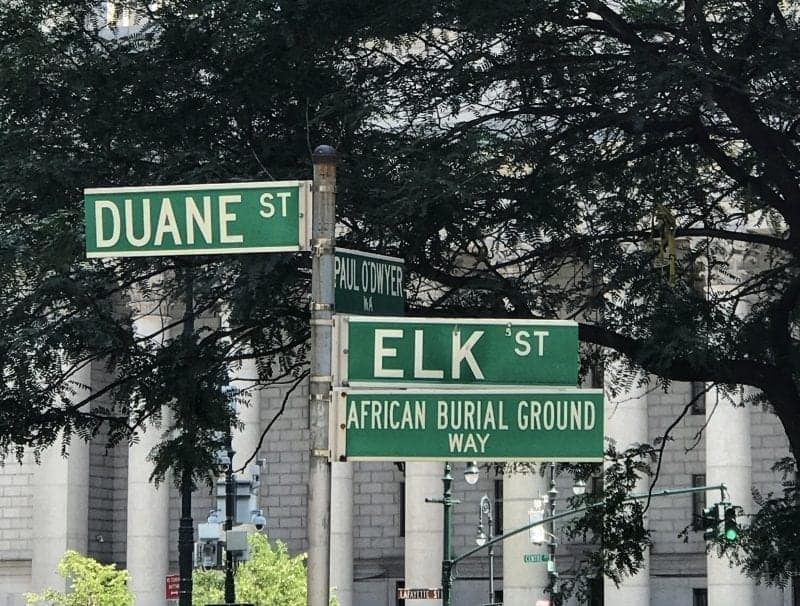 One of America’s newest national parks, the African Burial Ground in New York is free to enter. The Burial Ground was inadvertently found in 1991 when construction was begun for foundations for a new federal building. The discovery of the burial ground provides a lot of information on how important African slaves were to the development of colonial New York. For example, the Dutch colony of New Amsterdam used slaves to build the wall that is now the location of Wall Street. When the English took over New Amsterdam to make it New York, they continued the use of slaves. Yet, slaves were not allowed to be buried along with the white settlers. They had their burial ground on the edge of the colony in an unused ravine. Eventually, as the city grew, by 1795 the ravine was filled up to create level land and building put on it. When the foundations for the Federal building were dug, it was the first time that the burial ground had been disturbed in hundreds of years. It showed that most of the slaves were neatly buried in coffins and rows. There was clearly a ceremonial and sacred element to the burial ground. People were also buried with belongings which is a treasure trove for archaeologists to examine. There are an estimated 15-20,000 people buried at the African Burial Ground. Tell me below which unique things to do in New York City you would pick!